This is an Indo-Chinese dish very popular in India. Everybody loves this especially kids. 6. 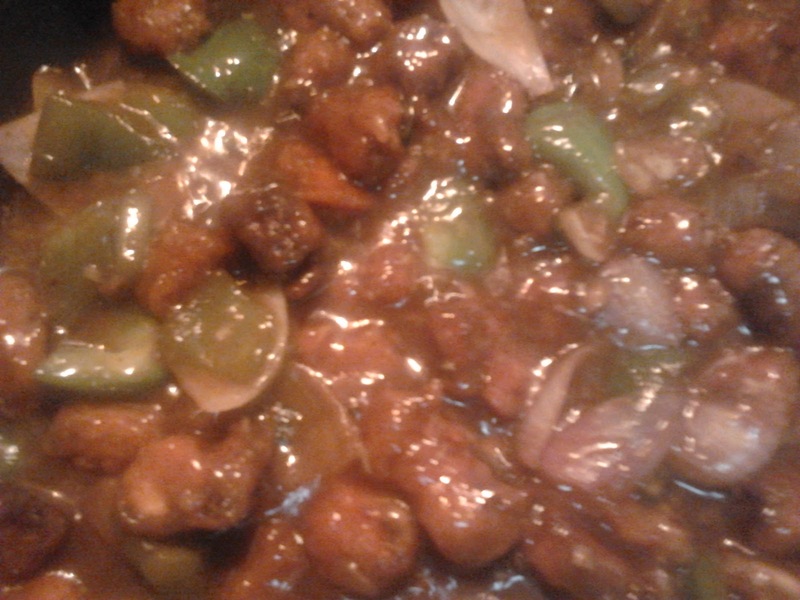 Heat a pan with oil, add garlic, green chilies, white part of spring onion, sliced capsicum and onions, soya sauce, tomato chilly sauce, pepper powder,salt and sugar. Mix it well. 7. Now add fried babycorn, little water and the corn flour mixed with water. 8. Once it starts to boil add coriander leaves and green part of spring onion. Switch off the stove.